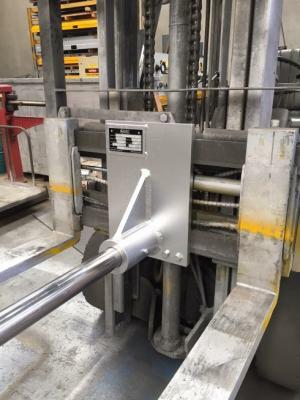 Slip On Forklift Roll Prong converts a standard forklift truck into a specialist handler suitable for fabric, carpet, cable and coil products eliminating manhandling of a heavy, unstable product. 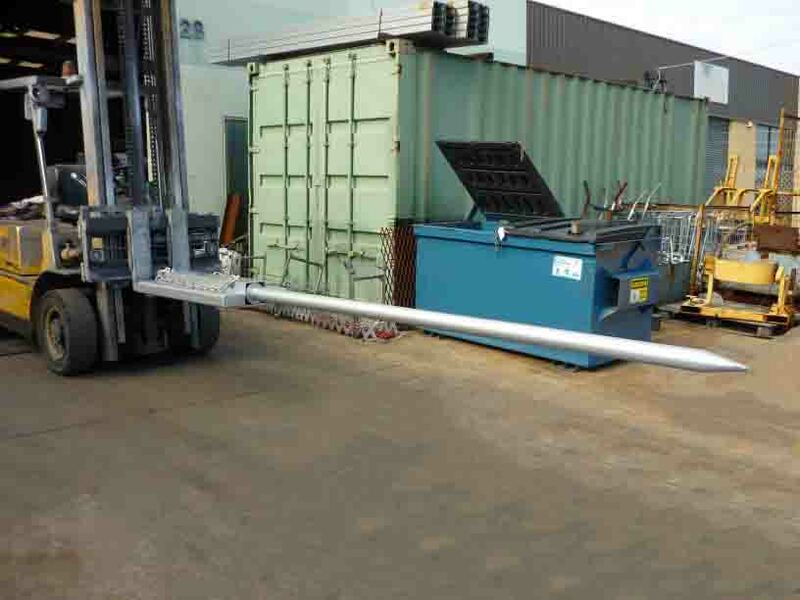 The Slip On Forklift Roll Prong quickly adapt to almost any forklift and require only the connection of a safety chain to prevent unintentional disengagement. 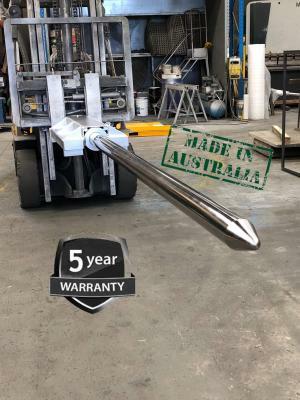 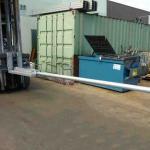 Entry into the product being handled is simplified with the smooth, tapered tip of the Forklift Roll Prong and the wide face-plate protects against damage to the product during transportation. 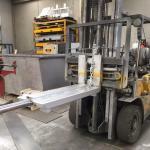 Forklift Roll Prongs are manufactured from high tensile steel and can be made to any length. 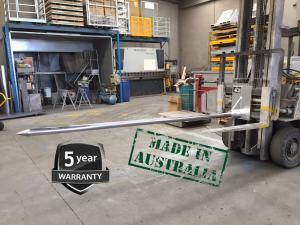 – Designed for handling carpets & all other types of floor covering or similar rolled materials. 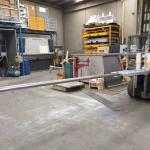 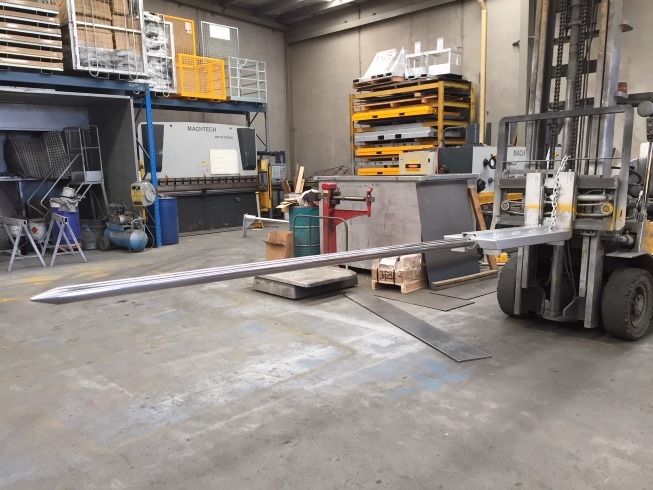 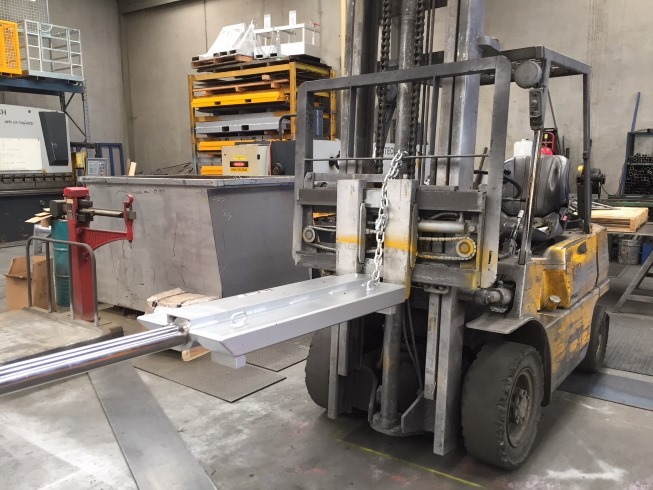 Please contact us for a quote or inquire about manufacturing a custom sized slip on forklift roll prong to suit your unique requirements.